In 2012, the Arctic Sea Ice hit a stunning new record low. Rutgers scientist Jennifer Francis explains how this changes weather for billions of people in the Northern Hemisphere. Plus the Director of the Snow and Ice Data Center, Mark Serreze on record and what it means, and analysis from polar scientist Cecelia Bitz, U of Washington. In depth, direct from top scientists. Radio Ecoshock 120912 1 hour. It’s been called the Arctic Death Spiral. All time-lows for polar sea ice have been shattered this year. A new record Arctic sea ice melt-back occurred in August 2012 ( a month earlier than ever before), with more to come in September. To me, this may be the largest single impact of human activity on the planet. It’s hard to exaggerate how big this story is. In early September, it looks like the last of the Arctic ice is hovering around the large chain of islands in the Canadian Arctic, to the West of Greenland. The West side of the Arctic Ocean is wide open, the fabled Northwest Passage along the Canadian Coast is clear with some ice around McClure Straight. The sea ice has melted away from the entire Russian coast along Siberia. Sooner or later, there will be no sea ice in the Arctic in the summer months. Professor Peter Wadhams of Cambridge, previously a guest on Radio Ecoshock, now predicts we could see that open Arctic Ocean as soon as 2015. All the 24 hour power of the summer sun will pour into the polar ocean, instead of being reflected back into space. A new article in the Journal “Nature” reports parts of Arctic Siberia are already releasing far more carbon dioxide and methane than previously thought. The National Snow and Ice Data Center says lack of sea ice could drive heat up to 900 miles further inland, threatening to melt the Permafrost. Most scientists agree that would trigger runaway global warming, well beyond anything humans could do to stop it. It’s an Arctic Emergency, plain and simple – a warning sign Earth’s climate is tipping into a new hothouse age. We need all the facts we can get, and I’ve lined up three of the best scientists for this week’s show. We’ll talk with atmospheric scientist and polar expert Dr. Cecilia Bitz from the University of Washington. We’ll get the latest figures, and tips for tracking the polar ice yourself – from the Director of the National Sea and Ice Data Center, Dr. Mark Serreze. But first, I want you to hear the Rutgers University scientist who is stirring up meteorologists, TV weather people, and government insiders. Dr. Jennifer Francis says the melt-back of Arctic sea ice is already affecting the climate of the whole Northern Hemisphere. 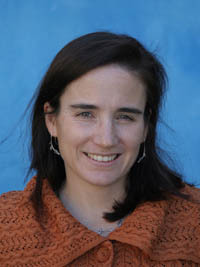 Jennifer Francis is a Research Professor at the Institute of Marine and Coastal Sciences, at Rutgers University, in New Jersey. She is an atmospheric scientist who specializes in the Arctic. Dr. Francis has many published papers, and don’t miss her important presentation on You tube from the Weather and Climate Summit, held at Breckenridge, Colorado in January 2012. The New York Times also interviewed her about a new observation: melting Arctic Sea Ice has changed our weather further south. The idea that sea ice could modify weather in the American Mid-West, the UK, or China, is hard to grasp. In school, we were never taught about waves and rivers in the atmosphere, like the Rossby waves, or the Jet Stream. Spend the time on this in-depth video: Jennifer Francis presenting at the Weather and Climate Summit last January. Pretend you are going back to college – to find out how the world works now that global warming is melting the Arctic. You’ll be surprised how much sense strange winters, and the daily weather forecast starts to make sense, after you’ve seen this. One big surprise for me in this Jennifer Francis interview: I assumed that the summer sea ice melt would be a driving factor in things like the record heat waves in the U.S. this past summer, the big drought there, and the wet summer in the UK and Northern Europe. But Francis says the main impact of less sea ice comes as the ice refreezes. That releases heat, builds up a big high pressure zone around the poles, and impacts WINTER WEATHER in the Northern Hemisphere. The summer weather, Francis suggests, is more changed by the record early snow melt in Arctic lands this spring and summer. Mark Serreze confirms there was a record snow melt this year, exposing a lot of land, across Russia, Canada, and Alaska, to much more heat. That is one of the biggest unreported stories of this year. We’ve all be staring that sea ice melt, without also looking at the huge melt back of snow, much earlier than normal, on land. We’ve heard warnings that retreating ice means a change in the salt content of the sea, which could produce more climate changes, if the Gulf Stream warming New England and Northern Europe weakens. Jennifer Francis says that is such a slow long-term process, we don’t have to focus on that now. It can be a positive feed-back loop as changes in the ocean develop, but not a big change. The movie “The Day After Tomorrow” looked impressive, but it’s simply not possible to see such a big change in a small time scale. We can dial that down – for now! Finally, I asked Dr. Francis how other scientists are receiving the theory her group proposed. She replied it’s not so much a “theory” as a paper of observations. That is, their science is not based on models, but on actual reporting of events in the Arctic, and the behavior of the Jet Stream. Frankly, this year’s record melt of the summer sea ice leaves me with a sense or horror. Dr. Francis says we should all be shocked and worried about such a big change in the way Earth systems work. When it comes to the Arctic, one of the first stops for both media and scientists is the National Snow and Ice Data Center in Boulder Colorado. 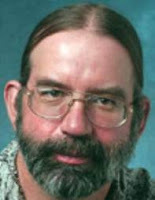 Radio Ecoshock is pleased to have as our guest the NSIDC Director and Senior Research Scientist, Dr. Mark Serreze. The capability scientists ask for most is for better ways to measure that ice thickness. Is the United States working on improved ice monitoring? Yes, Serreze tells us – but the most useful satellite for measuring Arctic ice is no longer there – and the next one won’t be launched until 2016. We also discuss the fact that America has only one operational polar class ice breaker. Russia has about 17. The U.S. rents a Russian icebreaker just to reach their Antarctic base. All the scientists I talked to would like to see at least one more Arctic icebreaker – especially if there is going to be more ship traffic and oil drilling in the Arctic. You might think with less ice we need fewer icebreakers – but Serreze explains why the need is greater than ever. To build a new icebreaker could cost as much as half a billion dollars – money that might be hard to find in these fiscally challenged days. It’s possible there might be no search and rescue, security patrols, or oil spill cleanup help from the United States. Way back in June 2008, the NSICS warned heat from the Arctic Ocean could penetrate up to 900 miles inland! Let’s take a snip from that release. “The findings point to a link between rapid sea ice loss and enhanced rate of climate warming, which could penetrate as far as 900 miles inland. In areas where permafrost is already at risk, such as central Alaska, the study suggests that periods of abrupt sea ice loss can lead to rapid soil thaw. As wrap up the Serreze interview, he gives us all helpful tips on how to use their fabulous web site to keep tabs on the Arctic. There are easy to click maps and information sheets for the non-scientist. If you have the expertise, you can even download their raw data to run your own models. It’s a tremendous resource. Our last guest on this Radio Ecoshock Arctic special is Dr. Cecilia Bitz. At the University of Washington, she is Associate Professor in the Atmospheric Sciences Department, an Affiliate Physicist for the Polar Science Center, and part of the Program on Climate Change. Dr. Bitz studies the role of sea ice in the climate system and its impacts on wildlife. She’s also investigating Arctic ice in past climate change, and works with models attempting to predict the future. I ask her how we know global warming is causing this Arctic ice disaster, and not some other force, like Sun spots, or natural ocean changes. It turns out about 30% of the record melt of sea ice is due to natural causes – particularly the North Atlantic Oscillation. But the other 70%, according to Bitz and many other experts, is due to human made climate change. I find it interesting to note another scientist at the University of Washington, Jinlun Zhang, points out Antarctic Sea ice has NOT retreated, and temperatures have not risen there very much. Why is the Arctic experiencing astonishing change, while most of Antarctica is not? Bitz says the West Antarctic Peninsula is experiencing extreme warming and ice loss. But the main part of the Antarctic continent is surrounded by oceans, unlike the Arctic Ocean surrounded by big land masses. That is the principal difference. The details also include the different mixing patterns and currents around Antarctica. That Southern Pole will lag significantly behind the Arctic, when it comes to global warming. I know Cecilia Bitz works on climate models. The Intergovernmental Panel on Climate Change was not alone in missing how quickly this sea ice melt happened. If climate models serve as our eyes into the future, why did they fail us, and what can we do to improve them? We discuss that. It’s a pleasure to talk over the whole Arctic situation with such a scientist. Arctic methane – new study says methane from the Arctic “an order of magnitude larger” than previously estimated, from Eastern Siberian sea. Is the Arctic Ocean set to warm and change the world climate? Never mind. Big oil is getting ready to party. Greenpeace warns Arctic drilling will tip the planet into weather extremes, and spills there can never be cleaned up. I play a quick clip from Greenpeace saying oil drilling in the Arctic, now that oil burning has destroyed the summer sea ice, is “obscene”. That is followed by a slice from Democracy Now, as host Amy Goodman interviews Greenpeace Director Kumi Naidoo. He is live on the deck of the Russian Gazprom Arctic drilling rig, doing what Executive Directors never do. Naidoo is hanging under a high pressure fire hose, as the activist group protests that ice-hardened Russian drilling rig. Greenpeace protesters were also arrested in Moscow, in a concerted effort to wake up the Russian public to the threat of Arctic oil drilling. We’re out of time. Maybe really out of time – for the sea ice, for the polar bears, for the Arctic environment, for the climate as we know it. I urge you to wake up your neighbors, your local and regional politicians, your national candidates. Don’t shut up. Pass on the news, talk it up, blog it up, use social media and all the media. Make copies of this program, to play for groups, or just hand them out on CD. Download it free from the Radio Ecoshock web site at ecoshock.org. See you next week, as we head to air-conditioned Hell. Then we’ll transition to real local solutions where you can play a big part. I’m Alex Smith. Thanks for listening, and caring about your world. Best show ever! Love the part when jennifer Francis busts out that bit about snow melt contributing to the summer weather. Still I would like to hear her and Derrick Jensen talk unscensered about a real timeline for ecological collapse. Maybe Richard alley too. When was the last time summer sea ice was this low? Thousands of years ago, Eemian? It's very clear that we are out of time already. The reason is self-evident. The energy required to melt this much ice (all over the world, not just the Arctic) already is not easily replaced by anything humans could do in the next 50 – 100 years. In other words, the ice loss is irreplaceable as far as humans are concerned (next several generations of humans, should they continue to exist). Even a zero greenhouse gas emissions effective right now would not stop anything. Only the very fast removal of carbon dioxide and methane would "work", something not even humanely possible. This would need to be done in less then 10 years. We are now absolutely guaranteed hellishly hot conditions throughout most of the planet, interspersed with extreme weather of drought and deluge. All "the talk" about stopping or slowing this down utterly fails to take into account the time lag (we're experience the effects of 1960's – 1970's emissions right now) and how much more emissions went up since then (and yet to be experienced via climate effects). Sciences is actually doing a piss poor job on sharing the horrible truth of what has already happened, let alone being forthcoming on what else we can now be guaranteed to expect. As much as I do appreciate their efforts and their work, I'm quite upset at how little they're willing to admit to what lies ahead. None want to put their careers on the line — but they should. We are in a global emergency and we're still stupidly making lame projections about "decades in the future" when it is happening right now. By the time they finally get off the pot and take a piss (announcing what this all really means), it will be so obvious, so evident and so insurmountable, that they will have effectively (not) written the eulogy for the human race and all life on Earth. If you carefully study what science already knows (such as these lag times), rising greenhouse gas levels, amounts and rates of ice lost all over the world, and the documented climate effects being experienced, you will come up with this same assessment.